· Bears head coach Matt Nagy is quickly turning the Bears into his version of the Chiefs – he’s helming an imaginative offense that quickly and early in the game allows every playmaker to touch the ball and get some confidence. Nagy’s Bears have, however, more young defensive talent than the Chiefs, and they look to be real contenders for the division…provided that Mitch Trubisky’s development continues on a positive arc. We like what we see from Trubisky thus far, but he still appears to be a better front-running QB at this point. · As the young Bears defense continues to gain familiarity with each other, this unit could be one of the top 2-3 units in the NFC. LB Khalil Mack and LB Roquan Smith did not have a training camp, so they still are learning about each other and the system. We predicted that Bears DC Vic Fangio would be a head coaching candidate at the end of the year, and so far, he is on track such consideration. 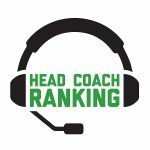 · Only Bill Belichick has scored a perfect 10 in our game grades; Nagy’s 9.8 is the next highest score. Pretty impressive for a rookie head coach.